Nick Sawyer is one of the front-runners in the new wave of life style, food, liquids and special effects directors. Incorporating many of the techniques learnt from his music video days, refined with the high quality demand by the commercial industry. His current clients include McDonalds, O2, Philips and KFC. Nick Sawyer started his directing career in the 90`s with music videos whilst living in the United States; he worked with the likes of Cypress Hill, Gwen McCrea, and Alice in Chains, building up a sizable music video catalogue as a director. During this period Nick paralleled his career as a director and a cinematographer, shooting projects for REM, Diana Ross, Anastasia, Simply Red, and Radio Head to name a few. 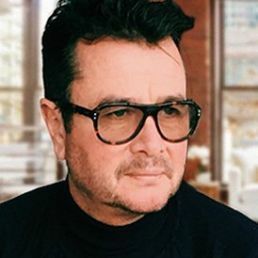 In 1994 Nick won the Ernst and Young Cinematographer of the year award for the Lynx commercial «Caravan» and has since been nominated for several CAD and D&AD awards.